from 239,00 EUR* Not ready for shipping. Reserve today and we will ship as soon as possible. from 295,00 EUR* Not ready for shipping. Reserve today and we will ship as soon as possible. 289,00 EUR* Not ready for shipping. Reserve today and we will ship as soon as possible. from 969,00 EUR* Not ready for shipping. Reserve today and we will ship as soon as possible. from 399,00 EUR* Not ready for shipping. Reserve today and we will ship as soon as possible. 379,00 EUR* Not ready for shipping. Reserve today and we will ship as soon as possible. 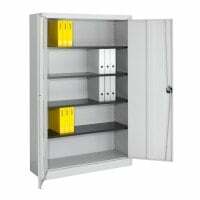 Cabinets and clothes lockers for the storage of your staff's change of clothes. 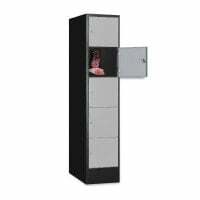 Cabinets and clothes lockers are used in the social rooms of dental practices. Your employees can store their personal effects or a change of clothes in clothes lockers hygienically and tidily. 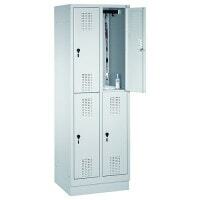 The lockers can be locked to protect against unauthorised access and have shelves and clothes rails. 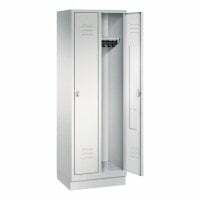 The cabinets and clothes lockers have ventilation slots and offer sufficient storage space for clothes and other items. 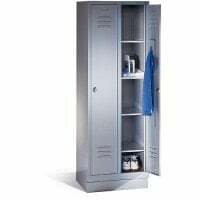 The clothes locker with a Z-shaped partition is the ideal solution for smaller rooms. Due to its special design, it offers plenty of storage space even in small rooms. 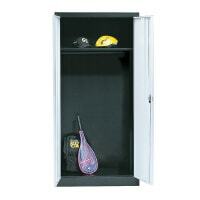 We stock lockers for the storage of small amounts of clothing or personal effects. The individual compartments can be locked and also have ventilation slots. 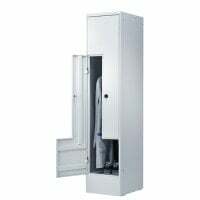 The cabinets and clothes lockers are made from sturdy metal and can be hygienically cleaned and disinfected. 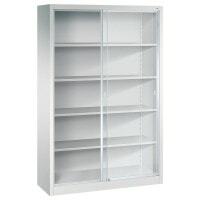 You will find an affordable range of different models of cabinets and clothes lockers at Praxisdienst-DENTAL.